Where true Italian meets the Great Smokies featuring fresh locally grown herbs, greens and vegetables in many dishes. Serving classic Italian comfort food and homemade items like Lasagna, Manicotti Marinara, Alfredo & Ragu, Pizza, Veal Parmigiana & more. Bring your dog and enjoy a meal on our patio. Don’t forget to save room for a cannoli! Frank Perrone was born in 1946 in the town of Corato, located in the Bari province of the Apulian region in the southeastern part of Italy. His Father immigrated to America in 1960 to earn a better life for his family. He and his brother got a job at Doria’s restaurant as dishwashers and eventually earned enough money to bring the rest of their family to America. 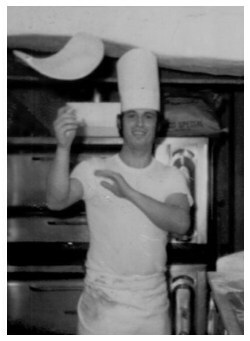 Frank and Dominick worked every station in the kitchen from the dishes to salad, to pizza, and the line. 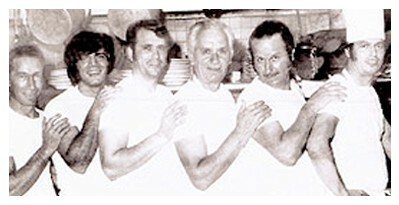 Within a few years the two brothers were approached by the Doria family to assume the restaurant. On November 1, 1971 they were official restaurateurs. They opened the doors with a full restaurant, full bar, stocked kitchen and no money in the bank, which drove them to ensure their success. They had the backing of a large family, even hiring mostly family members once they took over the business. Times were good and the family got bigger. Dominick was married and had two boys; Gino and Peter. Frank also married and had two kids; (myself) Louis & Maryanne. 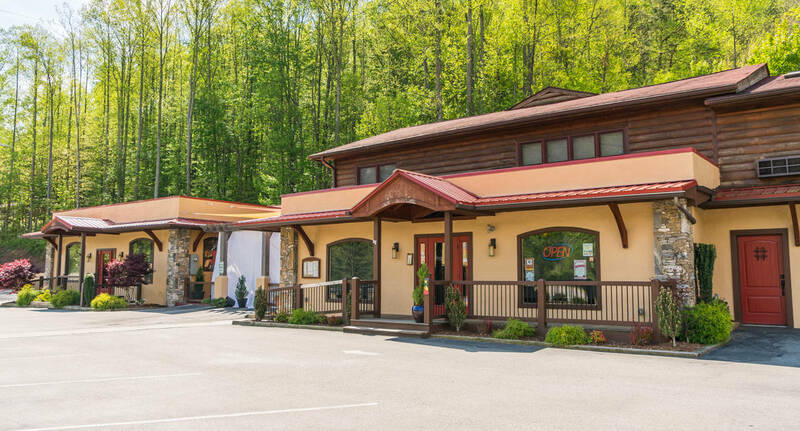 Louise now owns and operates Frankie’s Italian Trattoria in Maggie Valley and carries on Frank’s tradition of hard work, secret recipes, and fine Italian cooking. The definition of Trattoria is that of an Italian-style eating establishment, less formal than a ristorante, but more formal than pizzeria. My Grandfather was a great man. He came here alone, held up his chest, put his tears behind him, and made it possible for me to tell this story.